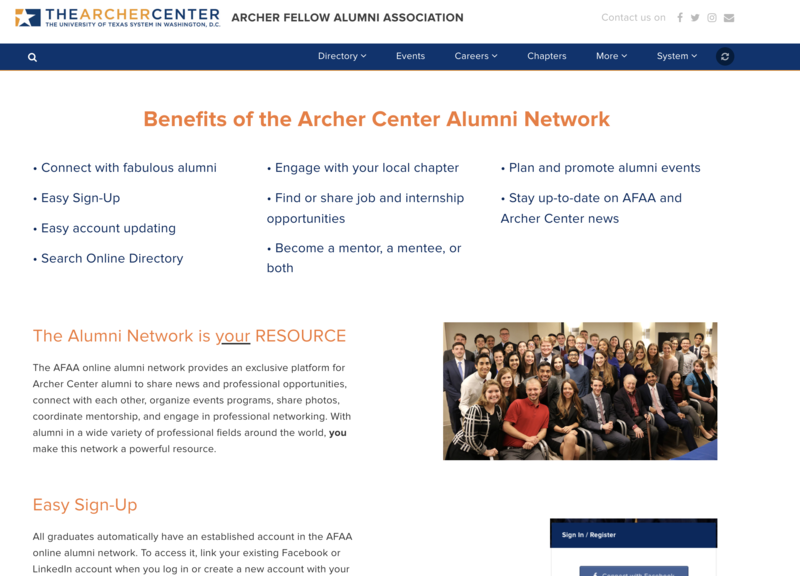 Archer Center is a non-profit, founded in 2001 by Reynolds Archer (former members of Congress), in partnership with his alma mater, The University of Texas at Austin. 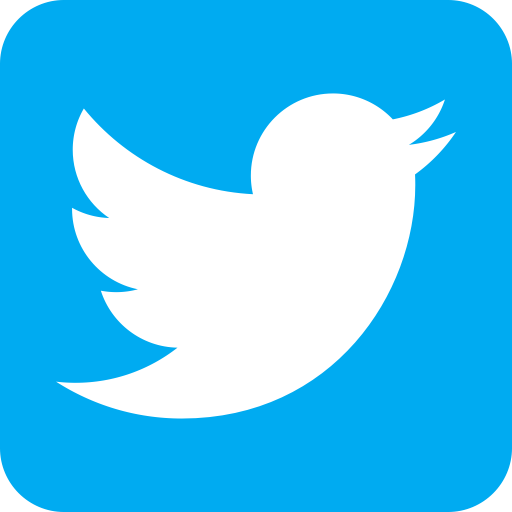 The institute offers a distinguished fellowship program which brings select students from all over the UT System to Washington, D.C. for a full semester of classes and internships in the nation’s political center. In the last 15 years, more than 1200+ of the brightest undergraduate and graduate students have participated in a semester for a summer-long experiential learning program. 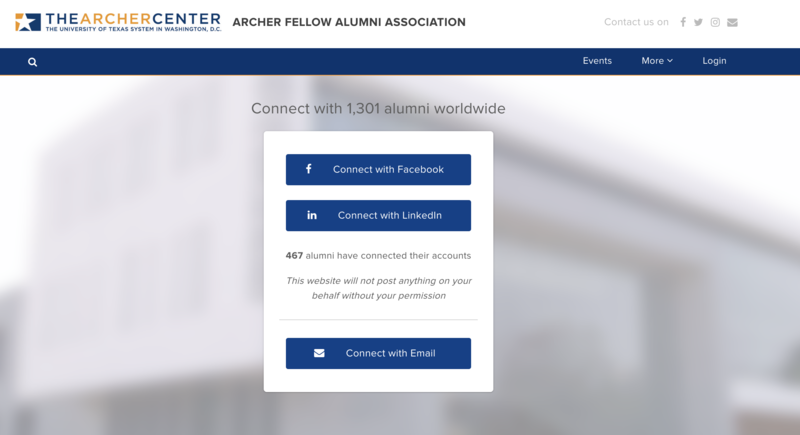 Despite the increasing number of students every year, Archer Center could not keep their alumni engaged. 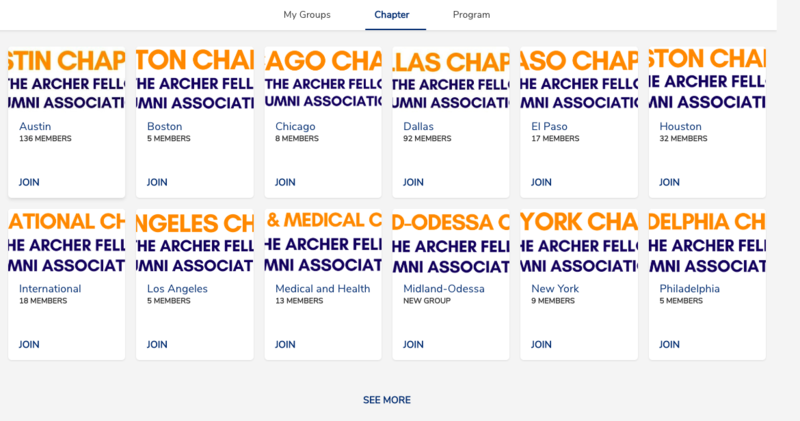 With the Groups feature, Almabase enabled Archer Center to decentralize the work amongst their various chapter heads and volunteers, seamlessly. 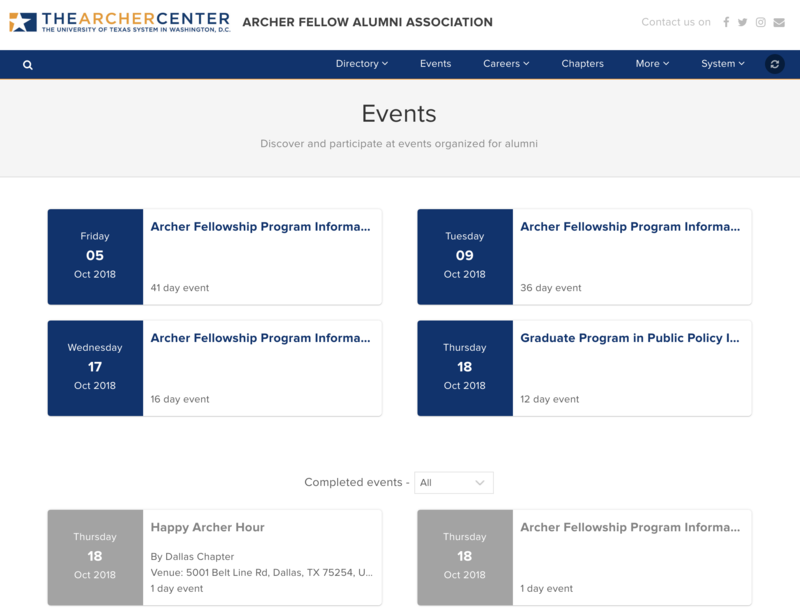 Our all-in-one platform enabled the Archer Center advancement team to streamline their alumni engagement activities. 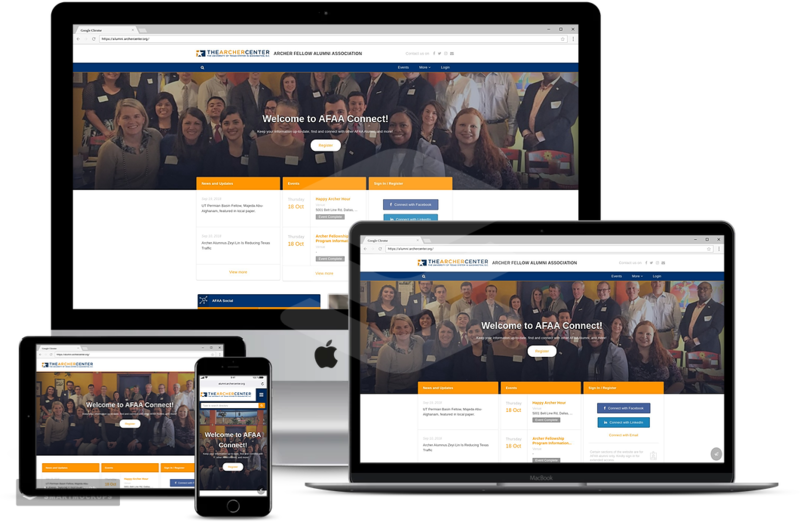 Right from events, monthly newsletters to updates (previously on MailChimp), the campaigns are now managed on a unified dashboard.